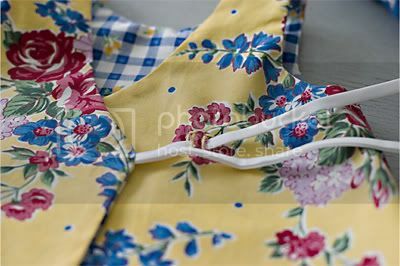 and thought, hey, I wonder if I could make shoulder straps for a tanktop or dress using that technique! 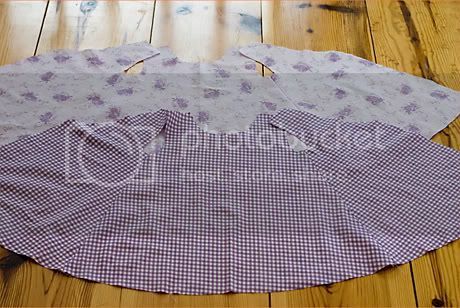 3) Lay the side pieces of fabric A right sides together on the back panel and sew the side seams. 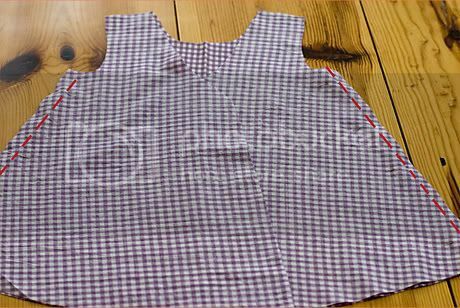 Do the same for your second fabric. 6) Turn right side out and press. 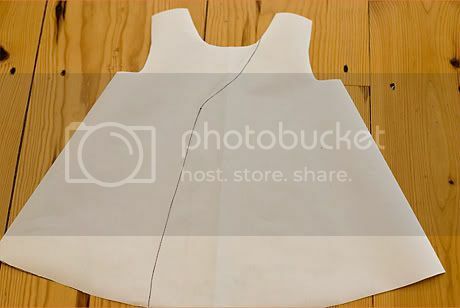 Line up the shoulder seam by folding back the outer fabric and pin the inner fabric. 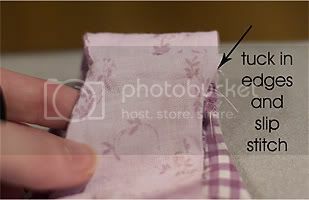 7) Sew along that edge, then keep going, matching the edges of the second fabric, so you're sewing along the other fabric as well. 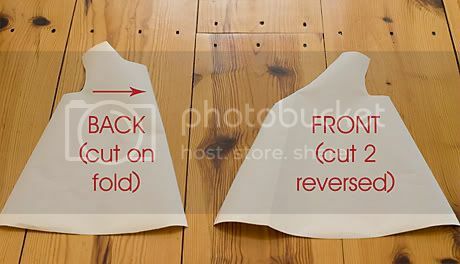 (here's the part that's hard to describe, you might want to refer to the shopping bag tutorial at the top for a better explanation/picture of this step) Basically you're sewing the shoulder seams and then tucking them in. 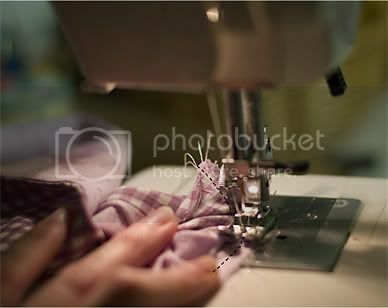 Tuck the shoulder seams in, press and slipstitch the opening closed. Also, close up the opening you used for turning. 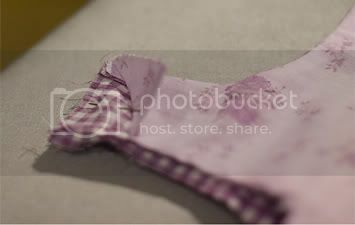 9) Figure out where you want the bow to end up and make two button holes, so you can thread one of the ties through to the inside and then back up to make the bow. That is really cute!!! 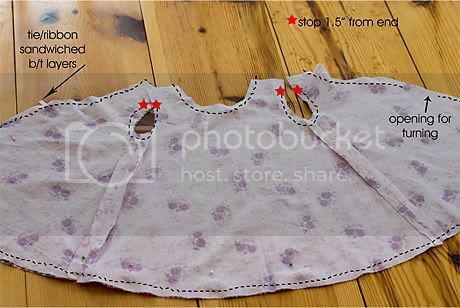 My 2-year-old is on a dress kick right now (WILL NOT wear pants ), and this seems really simple to do, your instructions/pictures are very clear. Thanks for the inspiration! 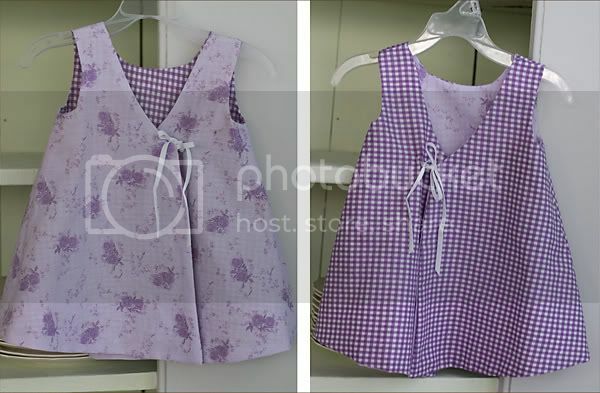 I love the two different fabrics together. You did a great job on this. Very cute! Thanks for the tute too. I'll be bookmarking this for sure! Great job and thanks for the tute. I will be putting this on my to do list for sure! I made the BEST OF 2007 with my love letter box! Thank you for the very clear tut. This is way too cute! Will have to try it out, after I fix stupid blank blank sewing machine. Looks good. want to sew one for my dd now..